In terms of the Olympics themselves, the opening ceremonies were wonderful. I heard a lot of great reviews from many people. Of course, we couldn’t top Beijing, and we never tried to. We did our own thing and had a great time with it. I am extremely biased, so of course I loved it. It was artistic and the music was wonderful. I did, however, fall asleep halfway through, but I blame jetlag as the biggest factor, and it wasn’t very interesting in the middle, to be honest. In terms of the events themselves, there has been a lot said about different things, and about the Canadian pride. I will let the media and others talk about that on their own. For myself, I thankfully had the opportunity to see two events. I went to see women’s curling on two different days. When people talk about curling, they only think, “curling”? It’s a strange sport that is extremely underappreciated. There is a lot of skill needed to do curling, and there is a lot of thinking involved. You must use a lot of strategy. During the games themselves, it was extremely rowdy. The crowds, obviously it was mainly Canadian, cheered loud and hard for Canada. Thankfully, many people understand the basic rules of curling, so most of the people could cheer correctly when there was a good or bad shot. It wasn’t perfect, but people were pretty good about it. Unfortunately, some of the other players were complaining that it was too loud and they couldn’t hear each other due to the cheering for the Canadian team. 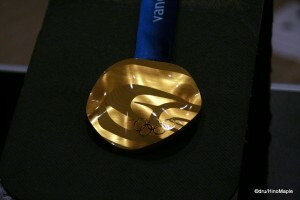 It was part of the Olympic experience, and part of being an athlete. I personally feel that they should be capable of dealing with these problems as they arose, but I also understand that the fans shouldn’t be as mean about things either. Even the crowd should get penalties for unsportsmanlike behaviour. On the Japanese side of things, there were only two sports that really mattered. The first, and by a long shot, was figure skating. Figure skating is now the number one winter sport in Japan, at least for the number of fans. With the rivalry between Mao Asada and Yu-na Kim, it was impossible for Mao Asada to escape the limelight. She had intense pressure, but by and far, the favourite was Yu-na Kim. As you must know, by now, the results of their ranking didn’t change anything, and it was a predictable 1-2 finish for them. The men’s side, however, had a small surprise with Daisuke Takahashi. He is one of the most passionate skaters I’ve seen in a long time and it was fun to watch him skate. Many skaters have very little passion when they skate, and it appears lifeless. He had beaten the odds to become the first Japanese medalist in men’s figure skating. He should be a hero in Japan. The second biggest sport of these games was curling. The Japanese women’s curling team was a young team from Aomori. They were dubbed, Team Aomori, or Curling Musume (young girls curling). They were all in their 20s and fairly cute overall. It was a typical Japanese thing where they took the cutest women and focused a lot on them. It was a little sad to see them knocked out in the round robin, but I think they did a great job. If they had another 4 years to train, I’m sure they could come in and possibly steal a bronze medal. Unfortunately, it’s unlikely, but a new group of young girls will take over and I’m sure women’s curling will get stronger and stronger for them. By and far, the biggest “event” of these Olympics has to be the party. 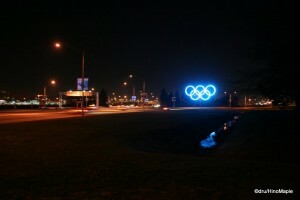 Everyday during these Olympics, there was a party somewhere in Vancouver. Whether it was in the bars, or just on the streets of downtown Vancouver, there was a party somewhere. When the Canadian women’s hockey team won gold, we had a party. On the final day of the Olympics, the Canadian men’s hockey team won gold in a nail biting overtime victory over the US team. The entire country roared to life and screamed at the tops of our collective lungs. There wasn’t a quite voice in Canada. From that point on, the city partied until the early morning. It was amazing to see all of the people erupt into cheers, if not tears, of joy when Sidney Crosby scored the winning goal. To see thousands of people jump and scream at the same time is amazing. The only other time you will see this is during a FIFA World Cup final. You will never see this again. The only other time you will ever, possibly, see this again is if a Canadian team wins the Stanley Cup. It was amazing and I hope to experience this again sometime soon. All in all, the Olympics were an experience that I will never forget. I will never forget the energy that was in Vancouver while I was there. I wish it was like that all the time. People seemed friendlier, and to be able to see so many people walking around and enjoying themselves was a treat. After the Olympics are finished, and the city returns to normal, things will be different. I doubt it will return to normal, but the city itself has changed. Hopefully, the amount of fun we had, and the amount of fun we will have, will continue to grow. If you ever have a chance to visit Vancouver, I hope you will enjoy it and see all of the things that are left to see. It’s amazing to enjoy this beautiful city. It may not have the fashion of New York, or the history of Paris. It may not have business of Hong Kong, or the craziness of Tokyo. I would say it’s the most beautiful city in the world with some of the friendliest people as well. Make sure you meet some people and have fun with them. This is Part II of a two part series. 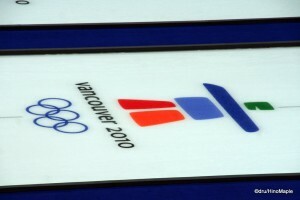 To read more about my experiences at the 2010 Winter Olympics, please go to Part I. This entry was posted in Canada, Olympics and tagged 2010, 2010 Olympics, Beijing, Buick, Canadian, Canadian Flag, Curling, Curling Musume, Daisuke Takahashi, GM, hockey, japan, Korea, Mao Asada, Maple Leaf, Olympic Medals, Olympic Rings, olympics, Pavilion, rings, Royal Canadian Mint, Royal Canadian Mint Pavilion, Sidney Crosby, South Korea, Team Aomori, Team Canada, Team Japan, Team USA, vancouver, Vancouver 2010, Vancouver International Airport, Vancouver Olympics, Vancouver Winter Olympics, Visa, Winter Olympics, Winter Olympics 2010, World Cup, Yu-na Kim, YVR, オリンピック, カーリング娘, チーム青森, バンクーバー, バンクーバーオリンピック, 本橋 麻里, 浅田真央 by Dru. Bookmark the permalink.